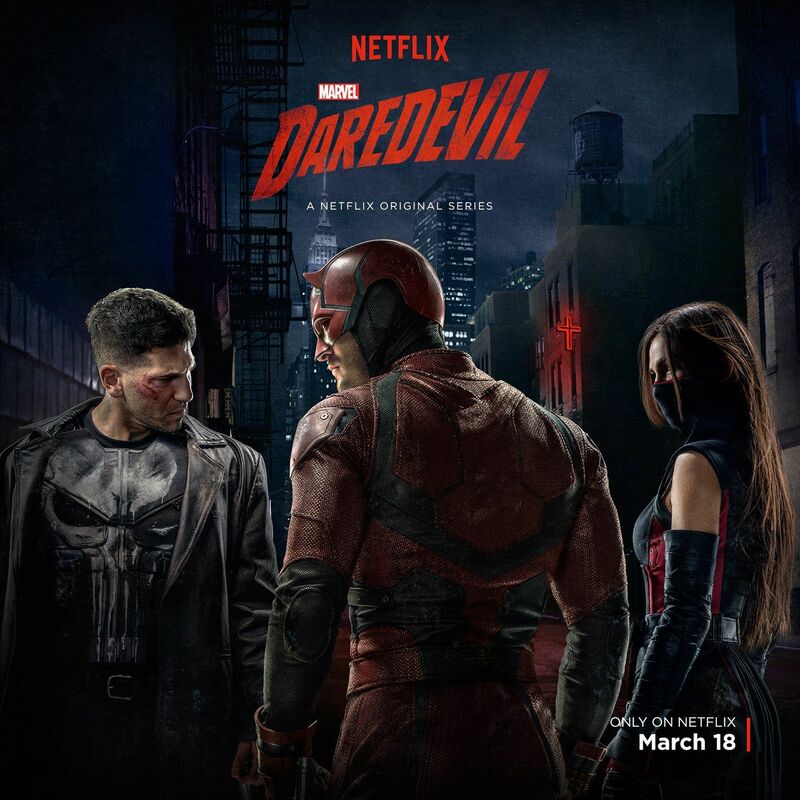 Daredevil Season 2 Poster. . HD Wallpaper and background images in the Daredevil (Netflix) club tagged: photo daredevil season 2 poster key art punisher elektra. This Daredevil (Netflix) photo might contain 看板, ポスター, テキスト, 黒板, サイン, アニメ, 漫画, マンガ, and コミック.